Forget about that short time I had with a retail demo unit last week. This week at Tokyo Game Show I've played with the new Vita multiple times with several different games. I've put it through its paces as best as I could here. I've even tested PS4-to-Vita remote play. 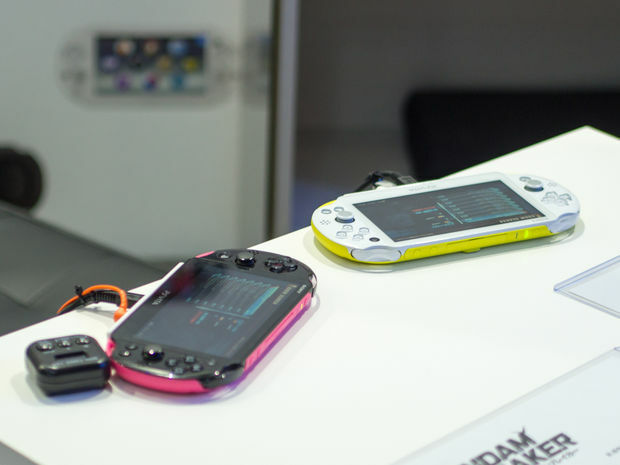 Read on for our impressions of the new PS Vita model. The new Vita is lovely. I feel like the design has been improved all the way around, from front to back. The first thing you'll notice is that it's so much lighter than the original Vita. It feels like there's next to nothing inside, but it manages to do so without feeling cheap. The new Vita is also thin and svelte, making the original seem a bit clunky in comparison. The rear of the unit is sleek looking, but still has a nice, rounded grip. Between this and the reduced weight, the new Vita is easy on the hands. I already know I'll like it better for extended play. And while we're on comparisons, know that Sony wouldn't allow me to photograph the Vita screens. I tried so many times. There's nothing to hide, though. The new LCD screen looked fantastic with every game I tried. 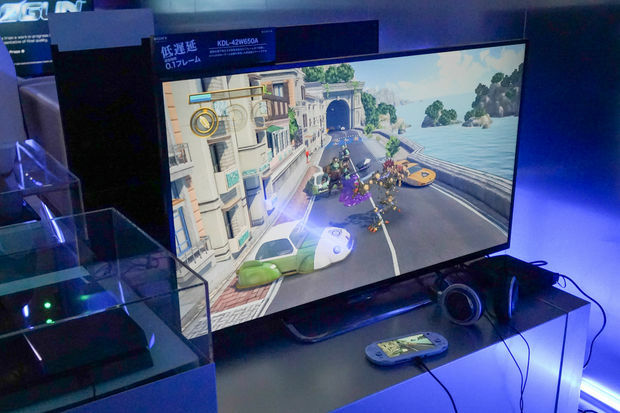 On the TGS show floor there's no fair way to compare old and new screens, though I doubt the new LCD will beat the OLED one. While games looked bright and colorful on the new Vita, it doesn't look to have the OLED's wide viewing angle or color depth. 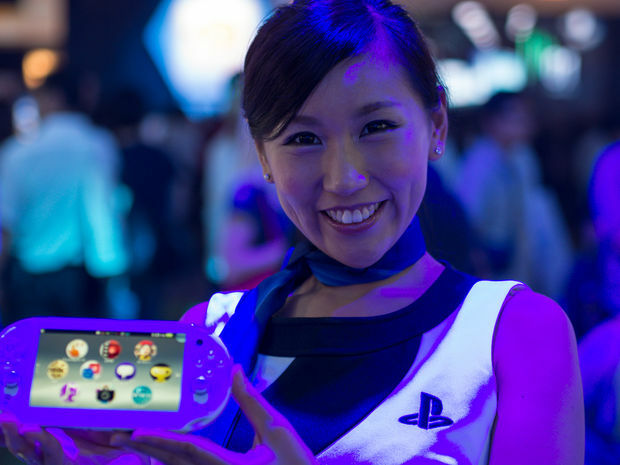 That all said, as an avid portable gamer I can honestly say I would be perfectly fine with the new Vita screen. I wouldn't feel like I was missing something by using it over the older model. Finally, the new buttons are nice. The face buttons in particular feel fast and responsive -- a nice improvement. The start, select, and PS buttons are now full circles, and are easier to press. Remote Play of PS4 games on the Vita went off without a hitch in my demo session. I was able to play Knack on the Vita while seeing it run exactly in time with the PS4 screen. It never missed a beat. Perfectly tight, no hiccups. 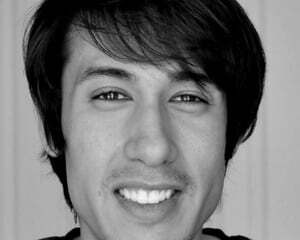 The control scheme of Knack is pretty simple, so the Vita had no problems handling button assignments. The visual quality of the streamed PS4 game on the Vita screen was pretty nice, though a close look would show that compressed video was coming across. But at a quick glance you wouldn't be able to tell that you were looking at a stream. Again, at least in this demo environment, play was absolutely lag free. Impressive stuff. The new Vita is a very nice little system. I don't think many will miss much over the previous model, screen included. 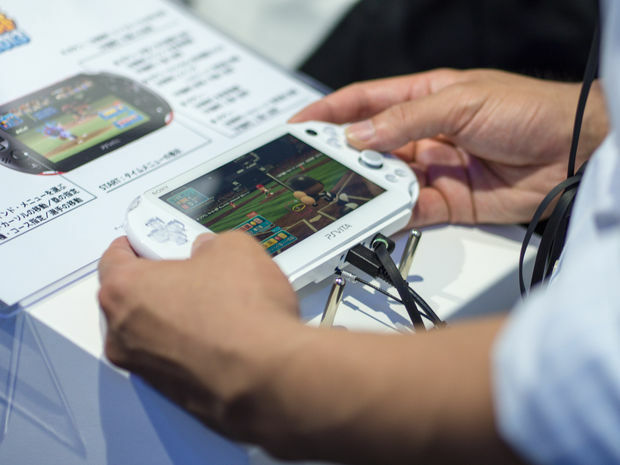 Japanese gamers will be able to buy the new Vita on October 10 for about $195. We have yet to hear confirmation of a western release. I'm sure we will soon enough, though.